Hello Grovites and the rest of the World! Coconut Grove is about land,but it is also about water. Do you wish to buy a dock or a slip for your boat? Grove Isle will be your solution. Only five docks are available for sale at Grove Isle. - A3, a 35 Ft boat dockis offered at $149,000. - A4,a35 Ft boat slip with a 20,000 pound boat lift is offered at $179,000. - A6, a 50 Ftboat slip is offered at $ 220,000. - C13 is a 50' X 18' boat slip is offered at $260,000. So far only one boat slip has sold in theCoconutGrove marketthis year. This dock located at 90 Edgewater Drive came with one assigned parking space. It sold for $110,000 in June 2011. For all your real estate needs on land or water,please contact us. We speakEnglish, Spanish, French or Italian. Coconut Grove is a very particular market. Our numbers are as unique as our streets and our lush gardens. National percentages do not apply to the Grove. As of September 1, 2011 there were 146 Single Family Homes for sale in Coconut Grove. Among them, 11 properties were Short Sales (only 7% of total) and 1 property was bank owned (only 0.6% of total). The least expensive property in Short Sale is located at 3617 Oak Avenue in the West Grove and is offered by The Keyes Co. It has been on the market since February 2010 when it was offered at $85,000. 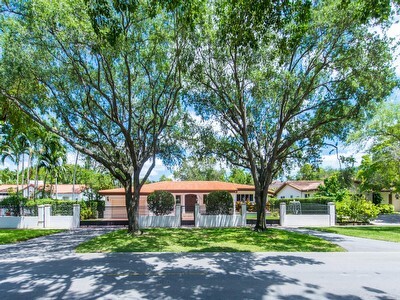 The one and only property on the Coconut Grove market that is bank owned is located at 3501 Frow Ave in West Grove and is offered by Century 21 for $316,000. There are no pictures available. So now you know the good news, Grovites! The Coconut Grove market is showing signs of recovering and stabilization. 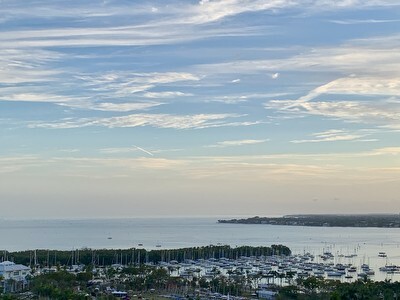 Do you want to preview one of these properties or any other of the wonderful properties on the market in Coconut Grove? Call us for a private showing. Many of our international buyers interested in Coconut Grove live an "international" life style. They travel for their business, and take their families on long vacations to their country of origin. These buyers worries about leaving their property unoccupeid for long periods of time. A gated community is an attractive solution. Single family homes located in gated communities can be found in Camp Biscayne, Poinciana Close Road, Entrada Estate, The Anchorage, Treasure Trove, Hughes Cove, The Moorings, Degarmo Estates or Ye Little Wood. In the De Garmo Estates, 3740 De Garmo Lane sold for $1,993,900 in July 2011. This property offers 5 bedrooms and 5 baths. It has 4,550 Sq/Ft of living space and was built in 1997. Treasure Trove is an other example of a wonderful gated community. 3210 Treasure Trove Lane sold for $1,400,000 in July 2011. It offers 6 bedrooms, 6 baths with 4,566 Sq/Ft of living space. Take a closer look at these properties online by visiting our website at www.groveexperts.com. If you want to have a private visit, please call us. We are pleased to announce that we have listed a gorgeous townhouse in Center Grove, just behind Cocowalk. It is located at 31303 Oak Avenue. It was built in 2004 and offers all of the amenities of a new contruction. The elegant foyer will welcome you. The living area is spacious. The high ceilings, the marble floors, the recessed lighting and the floor plan make this property a true Grove haven. The wonderful state of the art kitchen will regal your friends. The bedrooms are very spacious and have bamboo floors as well as built in closets. 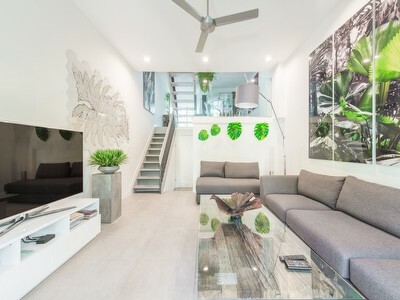 This townhouse has 3 bedrooms and a garage. It is offered at $3,200 a month. This townhouse will be available mid-November.